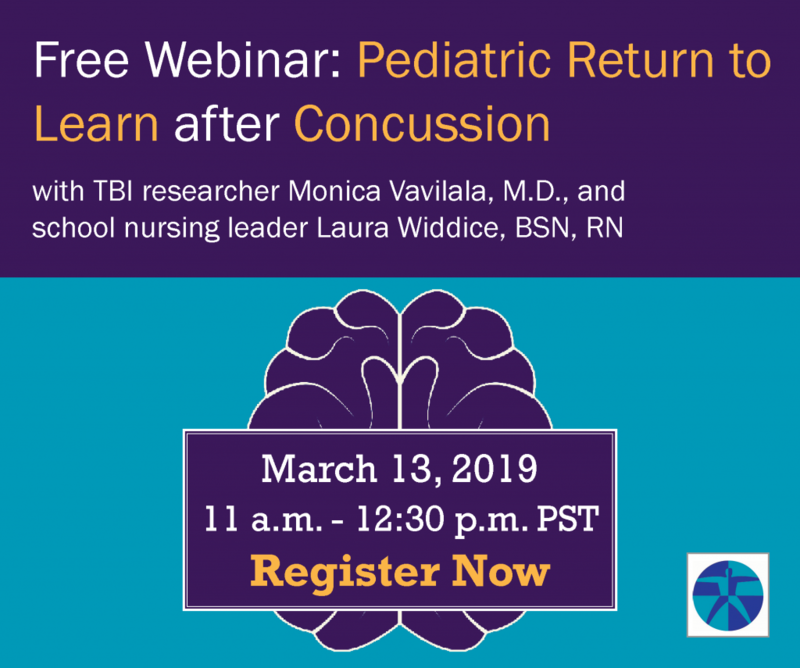 Learn from experts working in research and community programs around pediatric concussion and the school-based Return to Learn program in a live webinar on Wednesday, March 13. This webinar will discuss the documented need and collaborative development of a school-based program to support high school students returning to school after a concussion diagnosis. TBI researcher Monica Vavilala, M.D. This webinar is a joint initiative of the University of Washington’s Harborview Injury Prevention & Research Center and the Washington State Department of Health.